Give the Gift of experience this Holiday Season! Gift Certificates for Dance Lessons. Lake Shore Dance Academy provides the best dance lessons in North Shore are. 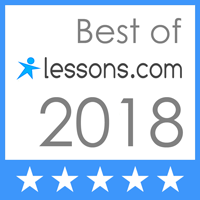 Gift Certificates for dance lessons are available for everyone and they will make the best Holiday gift. When you give an experience, you’re guaranteeing time together. And in a world burdened by hustle and bustle, it can seem like you never really get enough alone time with your loved one. Change that this year. You’re never too old to learn something new, and gaining a new skill or appreciation for an art or hobby will not only be fun in the process, but it will be soul-enriching for years to come. Memories stick with you much longer than things do. Create memories together that will last. You won’t regret it. Put simply: Don’t we have enough STUFF already?! Here are some unique gift ideas for your special someone! Gift Certificates for dance lessons. Rekindle your love and hobbies during the holiday season with private ballroom dancing lessons. After any physical activity, it is only natural to have built up an appetite. Here are some fantastic establishments to enjoy dinner after your dance lesson. Enjoy a diverse array of wines at one of these Chicago-land area wineries. Perhaps, wine tasting not up your vineyard? 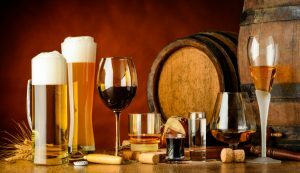 Here are some breweries and distilleries and here is an up and coming distillery with fun and festive events in Libertyville. 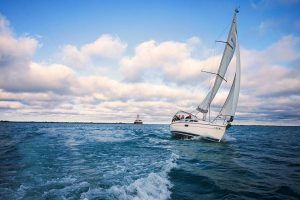 Sailing Experience on Lake Michigan. Is your loved one a person who just loves the water? Look no further! 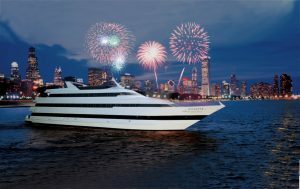 Chicago’s Premier Private Sailing Charter offers an intimate sunset sail experience that you will never forget. Here is another excellent gift for your sailor-at-heart! 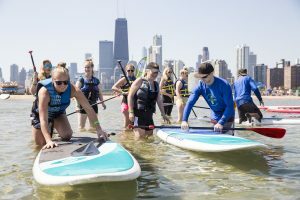 Paddle boarding in downtown Chicago is an excellent way to experience the water during the summer season! A third and marvelous way to really wow your water-loving someone! 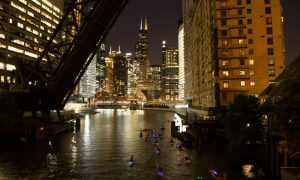 Nightly kayak tours in Chicago allows for participants to experience the city as they never have before! A fourth and final recommendation for your sailor-at-heart is a romantic dinner on a cruise ship. What better way to enjoy the water other than by a fine meal? And as an added bonus, you can enjoy the evening with dancing! A personal recommendation for a show is spending the night laughing at up and coming comedians at Second City in downtown Chicago. A show at Second City will be an experience that your loved one will never forget! This establishment has a distinct reputation for being the quintessential starting point for a plethora of today’s well-known actors, actresses, and comedians. Check out their calendar here. Interested in grabbing dinner beforehand or afterward? Here is a list of eateries near Second City. Cooking classes are a fun way to spend time with your loved one and learn something new! In the Chicago land area, there are tons of places to consider. Here are ten recommendations that are great for first-time cooking class attendees. 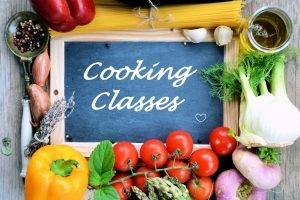 If you’re more experienced around the kitchen, I would recommend looking at this selection of cooking classes. Bon appetite! This is such a fun and unique gift! Gift your loved one with a couple’s night out or perhaps a girls’ night out! These BYOB paint classes do a phenomenal job at creating a laid back and super creative environment that makes the night go by way too quickly! 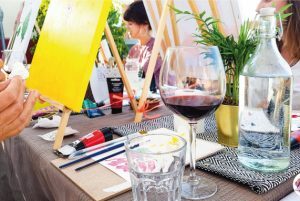 Here are the top recommended wine and paint classes in the North Shore area and downtown Chicago. Does your special someone enjoy the finer and more luxurious things in life? Well this establishment, Chuan Spa, definitely fits the bill. Your loved one will undoubtedly feel cared for and rejuvenated after their time at Chuan Spa. Or perhaps, they are interested in an all-around spa day experience. Depending on what your loved one needs pampering, these recommendations can help with that. Or maybe you’re one who enjoys a fantastic deal when purchasing gifts? 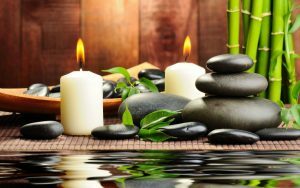 Check out these phenomenal deals for a spa day and massage for your loved one. Start your morning at entirely new attitude! Going for a hot air balloon ride with your special someone will certainly be a gift that will be forever cherished! Is your special someone an adventure-seeker? There are tons of adrenaline filled experiences you can gift them! Then zip lining is the perfect gift for them! 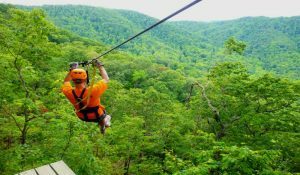 Zip lining allows for you to experience and appreciate your surroundings in an entirely new way! Sky diving is a one of a kind experience! Fortunately, there are several great locations to go sky diving, however it depends on what kind of sky diving you are interested in. There are indoor sky diving establishments (check out here for a deal!). Then, of course, there is the outdoors tandem sky diving experience. No matter which you choose, it will be an experience your special someone will never forget! It’s time to put the medal to the pedal and give the gift of driving a race car this season. 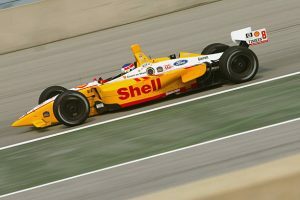 There are tons of fine cars to rev up your adrenaline: NASCAR, Lamborghini, Ferrari, and if these don’t start your engine check out this great selection! Still unsure which experience to gift your adventure-seeker? Why not let them choose their own experience? Chicago Thrill Seeker lets visitors create their own unique adrenaline-filled experience. You simply cannot go wrong here!